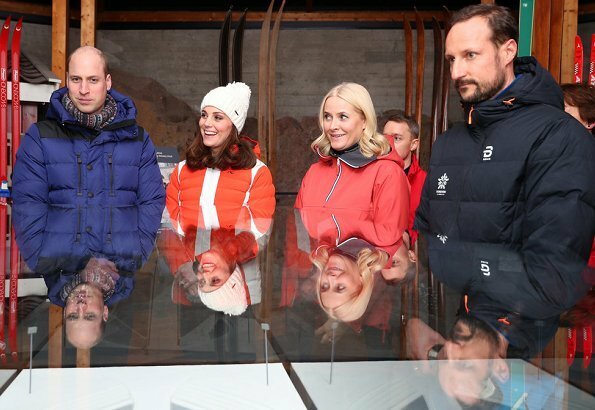 Prince William, Duke of Cambridge, Catherine, Duchess of Cambridge, Crown Princess Mette Marit and Crown Prince Haakon of Norway visited Holmenkollen's most iconic landmark – the Holmenkollen Ski Jump Center. 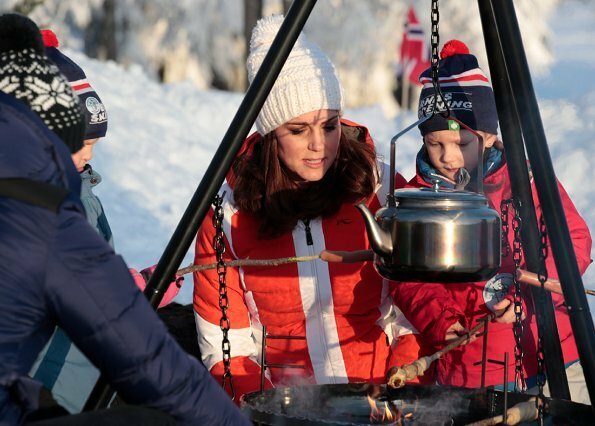 Royal Couples visited the Holmenkollen ski museum and attended an event organised by the Norwegian Ski Federation, where they join local nursery children in a number of outdoors activities at Holmenkollen. 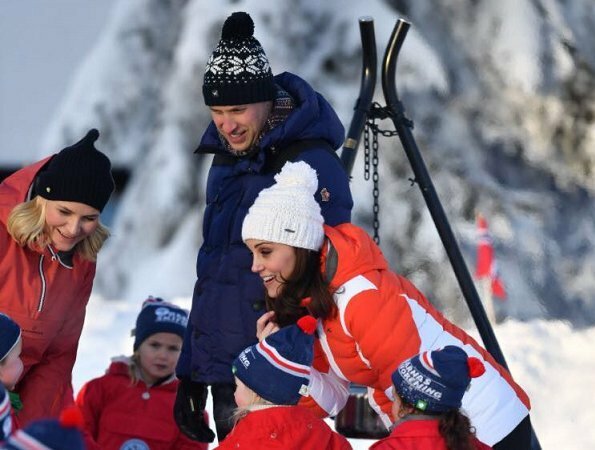 William and Kate looking at each other - so sweet. As for their outfits they are absolutely appropriate for the engagement. 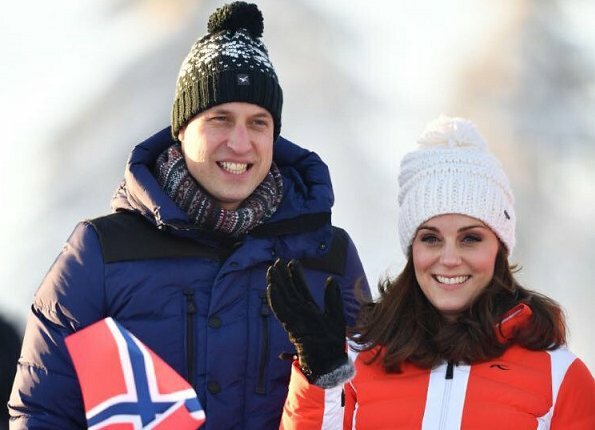 J'adore ce petit regard complice et souriant entre Kate et William! To all the people of Oslo on this blog. You the most beautiful city. Goosebumps to the Holmenkollen again. Years ago as a student I travelled with a tour bus from Oslo to Bergen. 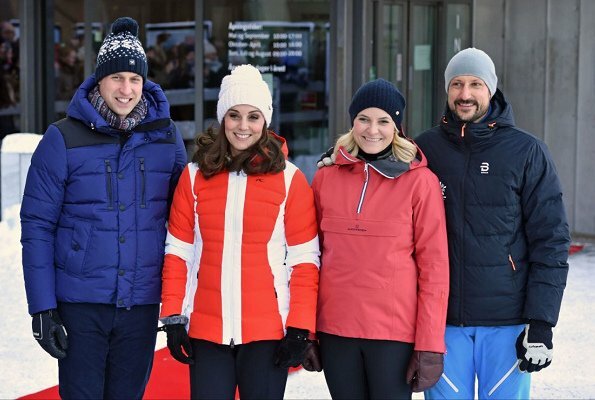 What an experience and the Royal Couples look amazing in their ski outfits or appropriate outdoor attire. The Duchess was suitably attired for the snow in the KJUS Duana two-tone quilted shell down jacket. It's available at Net-A-Porter (with thanks to Giulia). 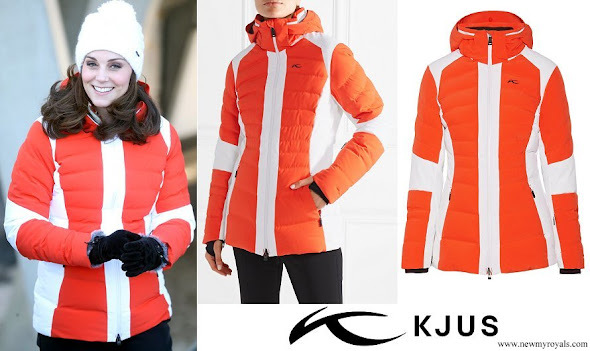 Norwegian founded Lasse Kjus is a former World Cup alpine ski racer. His combined career total of 16 Olympic and World Championship medals ranks second all-time behind fellow Norwegian Kjetil André Aamodt. A nice touch of sartorial diplomacy for the Duchess. The 70s? What a beautiful place and lovely royals. Love seeing everyone so fresh and rosy-cheeked. I know MM isn't usually what we think of as quite a fashion plate, like DoC -- but for this visit I thought she looked perfect at every juncture. I agree, MM looked stunning. MM shines at outdoor events, nearly always looking great in casual wear and at ease and happy. Catherine looks terrific here. 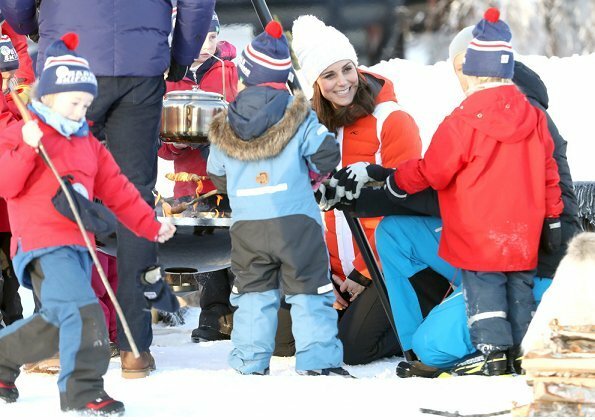 Love to see her and William having fun. They all look just great - and dressed in the flag colours! 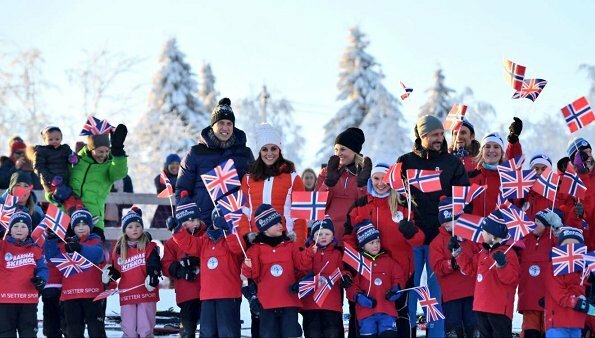 Kate and William have shown a very professional and warm side of their personalities during their PR-visit in Scandinavia! Chosen the right colours in their clothes and William said the words/sentences in his talks, as the Scandinavians want to hear! Looking good - all of them. Catherine is glowing, her hair is fabulous. 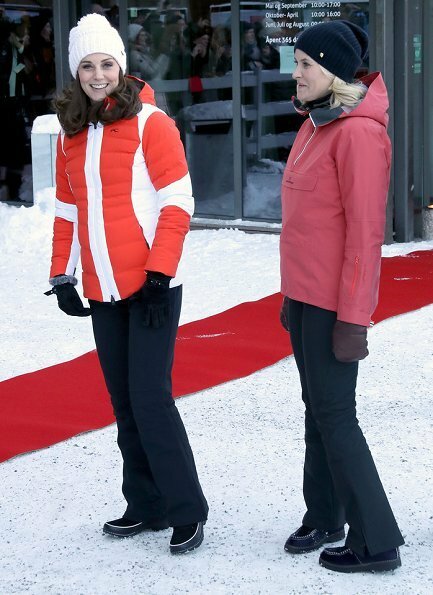 Mette-Marit looks great as well.